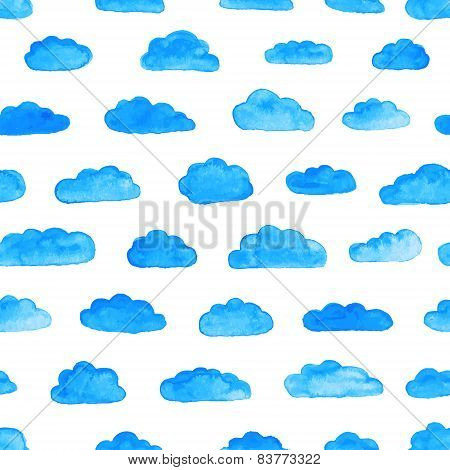 Watercolor modern pattern with clouds. Seamless pattern. Abstract background. Vector illustration. 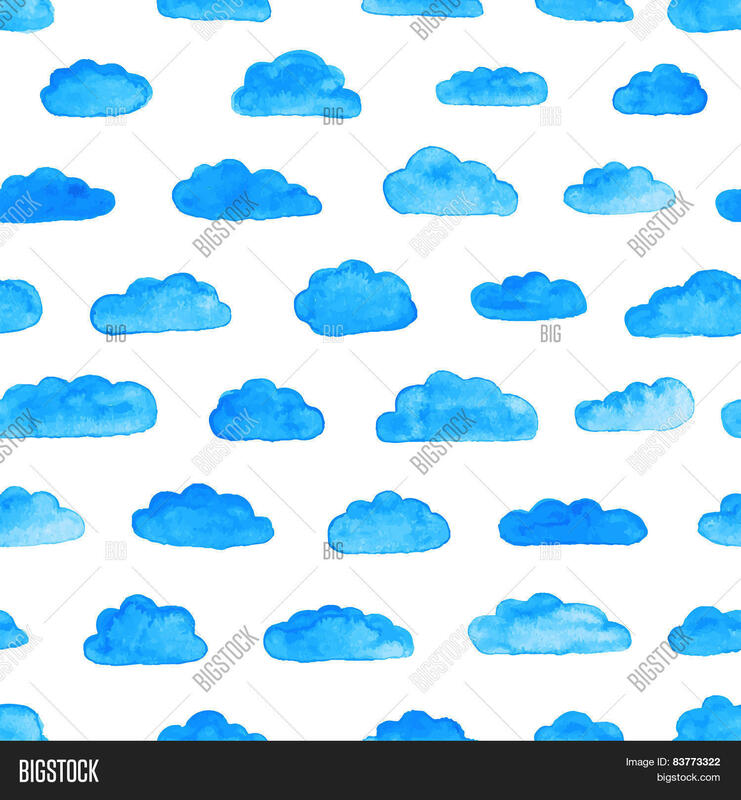 Watercolor blue clouds on the white background.